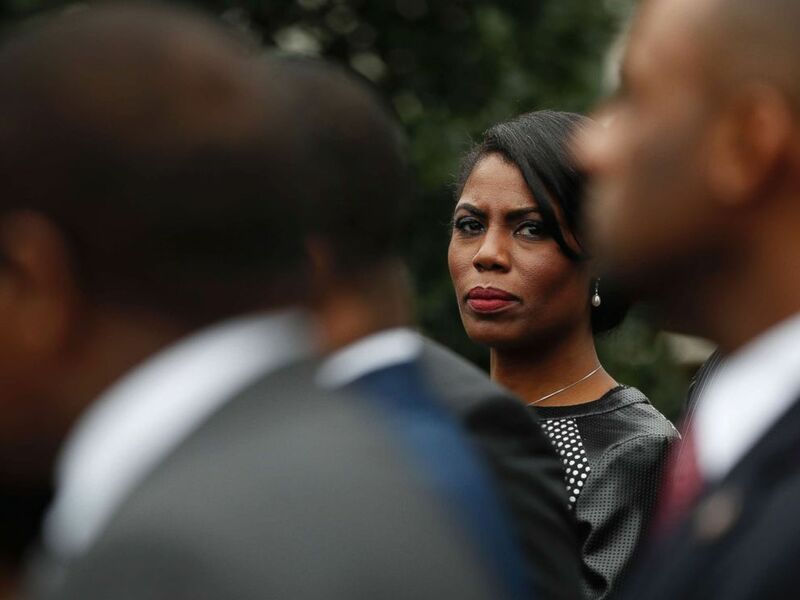 Former assistant to President Donald Trump, Omarosa Newman, made quite the debut on “Celebrity Big Brother” -- warning her co-star, along with everyone else in America, that the country is in danger. She also claimed on Thursday's episode she would never vote for Trump again, telling Matthews, "God no. Never. In a million years, never." Newman, who says she resigned in December as director of communications for the Office of Public Liaison, claims she was haunted by the president’s tweets. Omarosa appears in a promotional image for "Big Brother: Celebrity Edition," 2018. On the television program, she claims she urged the president to tone it down a notch on social media, but that White House staffers would come to his rescue. “They would say: 'Keep her away from him,'” Newman said. "'Don’t give her access, don’t let her talk to him.'" The White House said it didn't take her comments "very seriously." White House Director of Communications for the Office of Public Liaison Omarosa Manigault stands with the of leaders of historically black colleges and universities (HBCU) outside the West Wing of the White House in Washington, Feb. 28, 2017. “Omarosa was fired three times on 'The Apprentice,' and this was the fourth time we let her go,” White House principal deputy press secretary Raj Shah told reporters Thursday. Newman first became famous in 2004 starring with Trump on NBC's "The Apprentice." Trump invited her back for round two, this time in "Celebrity Apprentice" in 2008, only to have Trump "fire" her again. Newman has not responded since the White House comment, but did showcase a big smile in a Twitpic thanking “Celebrity Big Brother” fans for tuning in to the season premiere.